Premixed thermal insulating base screed containing superlight aggregates made of virgin expanded polystyrene beads with curved grain size (ø 2 mm. ), with controlled density, precoated bead by bead with E.I.A. additive in the production phase. Water binder with fast dehydration at 525 kg/m3 cement. 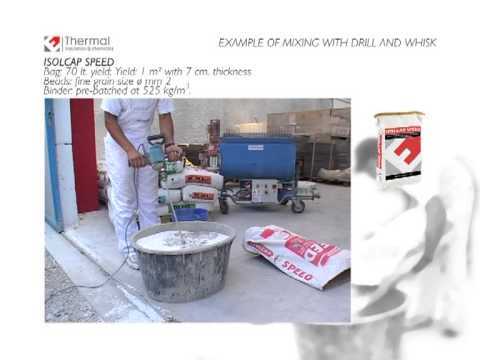 Suggested for the realization of mortars for lightweight single-layer base screed with Piano Zero system for direct gluing of floor coverings (see technical data sheet and the application manual). ■ Can be mixed with plaster sprayer.